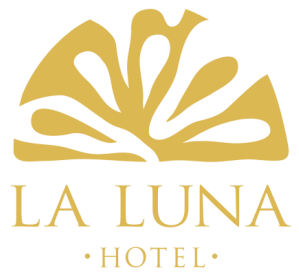 Welcome to La Luna hotel. Just next to the shores of an Aegean Island famous for its vivid and green atmosphere, lies La Luna hotel, tucked into a wooded hill above the soothing beach of Troulos. In our hotel you will find airy and comfortable rooms which can create an idyllic and romantic atmosphere to a couple while a cozy and pleasant experience to a family. All rooms provide balcony or terrace with view to the Aegean Sea that will make you forget the urban monotony the minute you walk through the door. As a family-run hotel, we are working like a determined team, ready to create for you a pleasant and memorable holiday experience.